Dolphins are some of the most beautiful large sea fish and are admired by people all over the world. 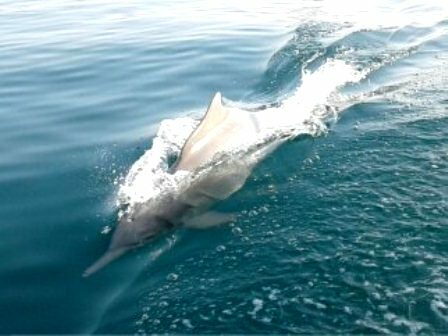 They naturally like warm waters and the Khasab, Oman regions provides them just that with Spinner Dolphins being the most commonly spotted. Right in the deep waters no too far from the Khasab beaches is the natural habitat of the beautiful dolphins where they play around with each other providing viewers great opportunities to not only witness their glorious charms but also capture them in their cameras on photo or video to share with the loved ones for a lifetime. 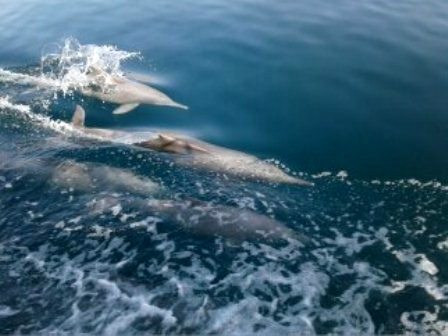 If you are quite familiar with the Musandam waters especially near the Khasab region that is the usual playground for the beautiful dolphins, you can always take your boat to the clear warm waters as well. This will provide all the opportunity you need for your swimming, snorkeling or underwater diving and sightseeing preferences. Some of the underwater corals are as beautiful as any on the planet and you will need all the extra time to explore them along your Dolphin watching tour as well. Be sure to bring underwater cameras to capture those moments for life. When you want greater luxury and comfortable seating for your dolphin watching tour, be sure to check out the Dhow Cruise options from the tour operators. These cruises are especially made for comfort and luxury specializing in the smoothest sailing with their custom made bottoms and heavy under layers. You will also find very comfortable carpets and seating made in the traditional Omani way presenting the right mixture of tradition and modern designs for your satisfaction. 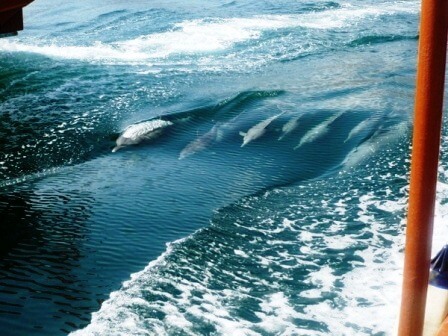 You can also take prolonged tours including overnight ones for Dolphin filming and observing them in their natural habitat. Dhow cruises are also available for public or private hire facilitation your personal parties and tours as well. Khasab Sea Tours a professional tourism agency have wide range of tour packages. Our team of professional tour operators makes your trip a memorable one. We have best price deals Khasab tour packages & Musandam tour packages. Khasab is great place for weekends & long holidays to spend a special nights at campsite or you can choose dhow cruise packages.